For some parents, the hours between school letting out and dinnertime can be very hectic. If your kids aren’t old enough to have homework yet or you are having a hard time combating their boredom, it may be time to come up with a few quick after-school activities. Read on for some easy suggestions on how to entertain your little ones! Create a zoo full of playful pets with simple paper and pencils. Research online instructions for paper folding, and help your children create unique creatures. By practicing the same animal over and over, your child can master this ancient and traditional technique. Simple items like sunglasses and bracelets can be dressed up in a unique fashion with sequins, confetti, or even small seashells. Plain white sneakers can be decorated with fabric paint. Your child will enjoy wearing their new fancy accessories and the opportunity to express their individuality with this fun task. From bracelets to barrettes, buttons can be strung together to create unique and colorful jewelry. Children will enjoy selecting from a wide range of shapes, sizes, and colors. Help them with fasteners or glue and create instant accessories for every outfit! Create a mini garden in an empty egg container. Plant seeds according to package directions in each little cup. Your child can spend time watering their plants every day after school. Make sure that it sits on a sunny windowsill and enjoy watching the sprouts grow! There are a number of fast and convenient projects that can keep your kids busy when rain keeps you indoors or even if the sun is shining. Let them loose on a challenging craft and see what happens! When the weekend finally rolls around, many parents find it hard to fill these hours in ways that are entertaining for both kids and adults alike. Get creative and enjoy bonding with your young ones while making memories that will last a lifetime with these fun ideas. It’s important for young children to learn how to express themselves in creative ways. Whether you decide to pull out paints, clay, crayons, or other fun materials, don’t be afraid to make a mess. Cover the kitchen table or living room floor, and let loose with your kids. Whether it’s something as simple as taking a walk through the neighborhood or a more involved field trip to the local zoo, children love to explore. Pick up fallen leaves, count pinecones, and point out different animals or flowers along the way. Take photos as you explore, and look at them later with your child to relive the memories. Sometimes, the best cure for boredom is to turn on music and start dancing and singing. When the whole family gets involved, laughter is sure to follow. Tune into a radio station that plays music that is age-appropriate for your child or play their favorite CD. Your kids are sure to enjoy learning new songs and singing along. Pull the pillows off the couch. Rearrange the kitchen chairs. Put the mattress on the floor. Do whatever you want to create a fun, secret space to share with your child. Once inside, read books or eat popcorn and tell stories to pass the time. There are a number of creative and unique activities that can help each member of your family enjoy this time together. Make the most of it and have fun! 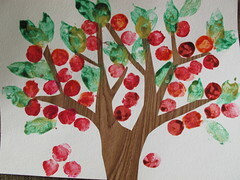 Crafting with your kids after school doesn’t have to be time-consuming or messy. It can be a quality time of bonding with your child and maybe one or two of his friends. 1) A city made of masking tape. If you don’t want to clean up paint, a great substitute for a fun “painting” technique is to buy rolls of colored masking or duct tape. Have the child stick the tape pieces onto a large piece of construction paper into the shape of buildings of various heights. Windows can be smaller pieces of tape stuck in the appropriate places. You can then have this sheet of paper laminated and the child can use it as a place mat for meal times. 2) A leaf collage. Using either the natural-colored leaves of autumn or leaf shapes cut out of colored tissue paper, have the child place the leaves onto a small sheet of clear, sticky contact paper. Pictures of insects can also be cut from old magazines and affixed to the paper as well. Add another layer of contact paper over the first one and, voila! Your child has just created a picture with a stained-glass look to be hung in a sunny window. After crafting, when it’s time for them to do their homework, they’ll have some fond memories of creating a craft or two which can enhance everyone’s mood and life.